Staying connected to your home from anywhere is easy! Apps ran on your smart devises make it possible to manage your smart home with everything connected into a single interface. 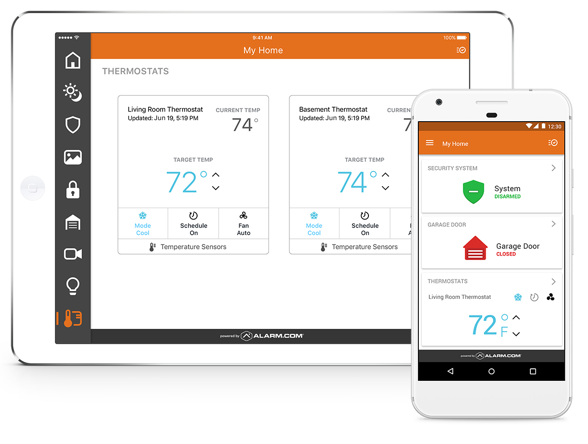 The Alarm.com app integrates your security system, connected devices and more into a reliable, easy and smart experience. Secure your home, dim the lights, view alerts, watch live video and even answer the door with just a few clicks on your mobile device or tablet. The app for Apple Watch uses quick, light interactions to make controlling your smart home as easy as checking the time. Controlling your home is made even easier with the utilization of voice control. 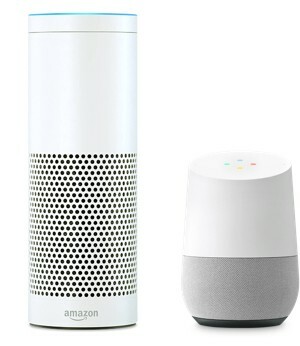 The convenience of voice control to manage your home through Amazon Alexa and Google Home is available through the app. Just ask and your home will be at your service. Stream your security systems live HD on the biggest screen in the house with apps for Apple TV and Amazon Fire TV. You have the ability to view up to four simultaneous views in HD, while you are watching TV.